If you love the magical girl genre, then the LoliRock Games category is perfect for you! This new hit show is loved by girls all over the world, and we are sure that they will also love playing LoliRock Games, as our website has prepared for you the best LoliRock Games on the internet! The LoliRock Games category was created in 23.05.2016 and from there we added more than 22 games for boys and girls that are interested in gaming online. These games were voted in total 175 times and the best game from LoliRock Games it's LoliRock Coloring Game. 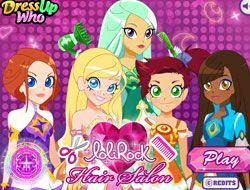 We recommend you to play the latest game added in this category on 18.01.2019 which it's LoliRock Hair Salon. If you want LoliRock Games, just click here. Play LoliRock Games on www.friv-games-today.com right now, which is the only place where you can find all your favorite games on the internet, and play them for free al all times, from whatever platform, and from wherever in the world you are! We have created the LoliRock Games category because we know how much magical girls shows are loved all over the world, and especially LoliRock, which is one of the most recent magical girls cartoons to come up, and it became an instant hit. First, the show was only airing through Europe, but since then, Netflix acquired it's rights, and the first season is already available for streaming. The show was created in France, airing on Disney Channel France, and two seasons have been planed so far. This show is a more special magical girls show, because one of the most important things about it is the music, as there are original songs for it, and the main characters of LoliRock are musicians that form a band, named LoliRock, of course! 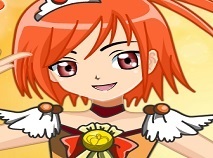 So, with these things considered, we are pretty sure that you are going to also love playing LoliRock Games, only here, on www.friv-games-today.com! Now, as we said, the show is made in Europe, so if you are from the States or other parts of the world, we are pretty sure that some of you might not be familiar with the show and the characters, so to make sure that you get excited to play LoliRock Games, we are going to tell you all about the show in the following lines of this description! The show focuses on Iris, who is the main character. Iris has a wonderful voice, but when she sings, it seems that strange things happen around her. One day, her friends make her audition to a singing contest, and when she sang, she destroyed the venue, and she was attacked by some mysterious figures. Talia and Auriana, the organizers of the show come to her aid, and explain to her that just like them, Iris is a magical girl with powers, and they need to get together to use their powers to save the kingdom from the evil character Gramorr. So, her only option is to start learning to use her powers, and together with Talia and Auriana they form the LoliRock band, and in secret, fight evil using their powers, as magical girls do. As you can see, the show is very interesting, and the three main characters are very delightful girls who everyone enjoys watching in the show, but we know that you will also enjoy playing LoliRock Games with them. That is because on this page you will have at your disposal LoliRock Games where you have to dress up the characters, bejeweled games, fun puzzle games, or coloring games where you have to use your imagination and creativity. We invite you to try out all our LoliRock Games right now, and we hope you will recommend our website to your friends also, so that they can also get to play these wonderful LoliRock Games!